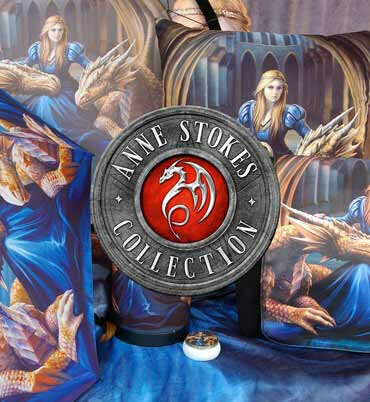 Exclusively available through Nemesis Now's Gothic Fantasy Giftware wholesale collection, this beautiful wall plaque comes from the Gothic and Fantasy artwork of world-renowned artist, Anne Stokes. A young woman in a black cowl, tears running down her cheeks. Her hands are clasped in prayer, with a crucifix hanging from the rosary beads between her hands. Head bowed in mute, desperate supplication. This piece is cast in the finest resin before being carefully hand-painted and brings macabre beauty to any room.